WASHINGTON — There’s no shortage of natural beauty almost anywhere you look when you visit the beach. From sunrise over the ocean to sunset as wild life moves around the coastal bays, the right spot in the right light can offer a breathtaking photograph or inspiration for a painting. 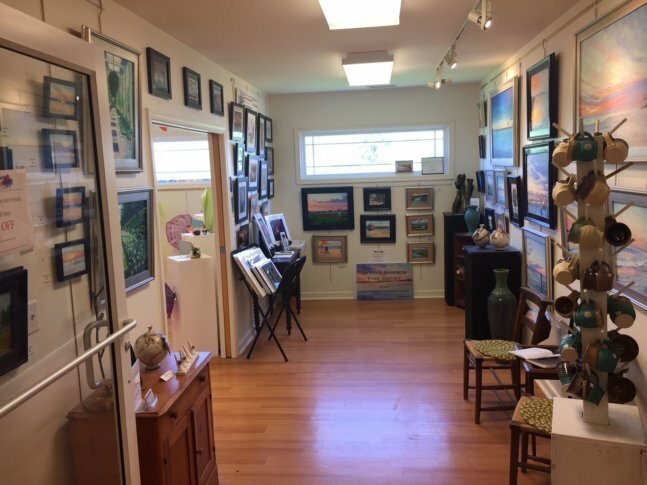 “It’s funny because there’s so much natural beauty in the area and so many artists that want to paint with the sea down here … but there really was nowhere to show their work,” said Rina Thaler, the executive director of the Ocean City Art League. But that has changed in recent years, as coastal towns start to embrace the arts up and down the beach. A big investment was made in Ocean City when the town helped build the Art League’s new home base on 94th Street. It opened in 2013. And it’s culminating with an increasing number of art shows as well. This year the town is holding its inaugural Art-X at Northside Park. “We’re calling it Art-X: art explosion, art expression,” says Thaler. Featuring live music, film and other visual arts, it’ll turn the trail around the water at Northside Park into a big, outdoor art gallery Aug. 25-26. Bethany Beach holds its annual Seaside Craft Show on June 2, which allows local artists to sell their work. The Rehoboth Art League hosts its annual outdoor show over two the first two weekends in August at Henlopen Acres.